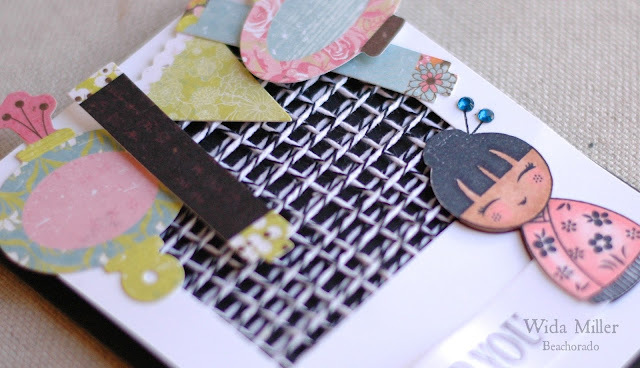 Here is a close up of one of the cards I made for A Blog Named Hero. So go over and check out my video and see the other cards!! I'll go check out your video, Wida, thank you for sharing how you did that. Your card is sensational!! Have a wonderful vacation!!! Left you some love over at A Blog Named Hero. Great cards, Wida! Heading over to check out your video now! Have a fantastic time in Florida!!!! Just visited you at ABNH. You sound so cute! Have an awesome vacation!! Oh, why is it your last post at the Hero blog - loved your periodic pieces. Have lovely well earned break ( we have really happy memories of Florida - just too long ago). I'll watch your video, that's a really different technique, thanks for sharing! I watched your video and your voice is adorable <3 LOVE this technique! Great technique and your card is so much fun! Hope you're enjoying your vacation! Awesome card and technique! TFS the tutorial!! Have a WONDERFUL vacation! The criss-crossed twines are just so cool!